Nestled in the Lower Verde River Basin, lies McDowell Mountain Regional Park. This 21,000 acre park at the foot of the McDowell Mountains features over 50 miles of multi-use trails and elevations of up to 3,000 feet. Visitors to the park are treated to some of the most spectacular views anywhere in the country and often see deer, javelina, birds and coyotes as they explore the expansive, rugged beauty of the park. 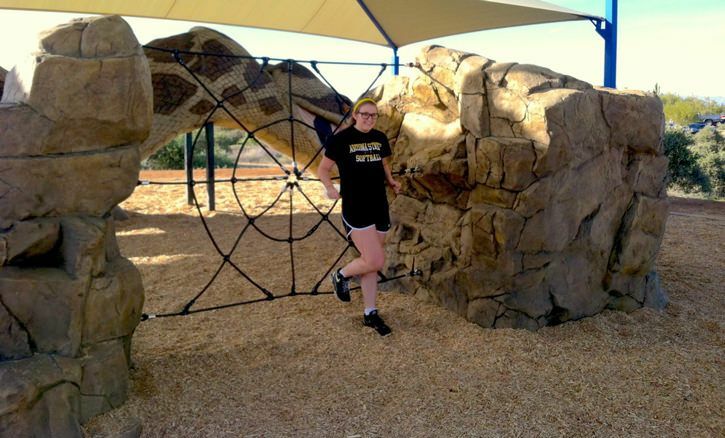 When officials from Maricopa County Parks and Recreation Department decided to add a playground to the park, they wanted to make sure the playground complemented the natural surroundings and provided a unique play experience for children and families who visit the park. To create such a playground, they turned to Triple M Recreation, the exclusive representative for GameTime in Arizona. Together, GameTime designers and Triple M project managers worked with R. J. Cardin, Director of Maricopa County Parks and Recreation Department, and Brad Reed, Project Manager, to create a playscape that utilized a blend of traditional play equipment and custom play sculptures, beginning with a giant Rattlesnake Slide. The lifelike Rattlesnake Slide sculpture weighs over 15,000 pounds, stands over 10-feet tall and extends nearly 30-feet from mouth to tail. A climbing ladder is built into the tail so that children can enter a tube slide that exits out of the snake’s mouth. Alongside the giant reptile are two enormous climbing boulders with a spider web net stretched between them and a themed SkyRunner spinning activity that allows children to enjoy the sensation of flight. The entire play area is constructed under two enormous shade structures to keep children and families comfortable while at play. 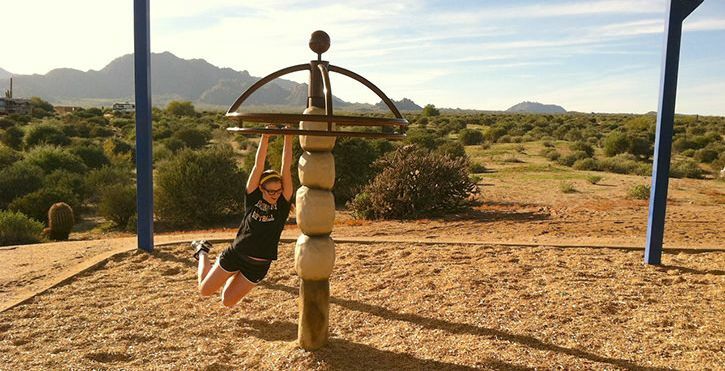 The new playground at McDowell Mountain Regional Park is located at 16300 McDowell Mountain Park Road, Fort McDowell, AZ 85264. GameTime has been a pioneer in the commercial playground industry since 1929 with a commitment to enriching childhood through play. GameTime combines the vast wealth of research and intellectual resources of our parent company PlayCore with an unmatched distribution network to lead the industry with innovative products, programs and play environments that inspire a child's imagination and promote health and wellness for future generations.